Since the brand was revived several years ago, Ealing Studios have developed a reputation for quaintness. With the exception of John Landis' underrated Burke and Hare, the majority of the new Ealing's output has been frothy, often retrograde films designed solely for the export market. How easily we forget that the self-same studio once produced some of the darkest, edgiest and blackest comedies the world had ever seen. 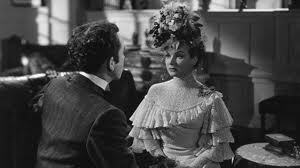 And there is no better example of this than Kind Hearts and Coronets, which takes pride of place with The Red Shoes as one of the finest British films of the 1940s. Describing any old film as 'edgy' comes with problems. Changes in social attitudes since the 1940s means that, on one level, filmmakers are now able to show a wider range of subjects to a greater extent than ever before. Under this line of argument, what was once considered edgy, radical or insightful now looks timid and tame. 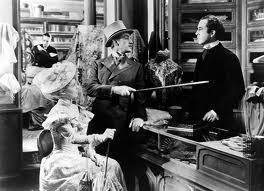 But even if we accept this as a general rule, Kind Hearts and Coronets still stands as a proud and intriguing exception. Like Peeping Tom eleven years later, it has retained its emotional impact even after its aesthetic achievements have been surpassed. 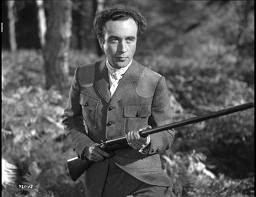 Kind Hearts and Coronets is a comedy about a serial killer, at a time when the vast majority of films involving murder sought to completely demonise the assailant in question. More than that, it is about a serial killer who vengefully targets the aristocracy, who while waning in power still held a great deal of influence in government and high society. The film is a vitriolic attack on the British class system, thinly disguised as an erudite comedy of manners. To paraphrase Macbeth, it may look like the innocent flower, but it is most definitely the serpent under it, and its venom is ruthless and bitter. In a further comparison to Peeping Tom, the film had a rocky ride with the censors when first released. Sir Michael Balcon, then-head of Ealing, sought to distance himself from the film, believing that the public could not handle its ironic treatment of the subject matter. In line with the restrictive Hays Code, the American distributors requested that Robert Hamer added a ten-second epilogue, to show Louis Mazzini getting his comeuppance in a way while the original ending only implied. While Alec Guinness went on to win an Oscar for The Bridge on the River Kwai, neither Dennis Price nor Robert Hamer would ever reach this level of success again. Film critic David Thompson described the latter's fortunes as "the most serious miscarriage of talent in post-war British cinema". 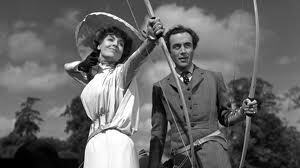 Many of the classic Ealing comedies used present events to satirise the past and vice versa. Passport to Pimlico satirised both the Berlin airlift and the exile of the Dutch monarchy to Canada, while some commentators have argued that The Ladykillers is a send-up of the post-war Labour government. 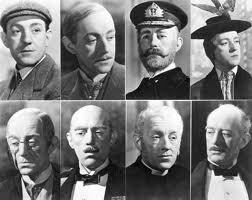 Kind Hearts and Coronets was made in the year of the Second Parliament Act, which further curbed the power of the House of Lords and with it the aristocracy. The real-life political attack on landed wealth is contrasted with the lethal attacks of Louis Mazzini, with the aristocracy being 'killed off' in both cases. 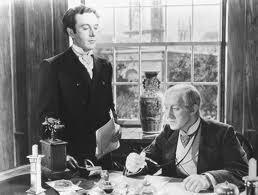 Kind Hearts and Coronets has a very poisonous view of the British class system, and in particular of the aristocracy's attempts to justify its position. While marrying out of love may have brought Mazzini's mother poverty, marrying for wealth and "good breeding stock" brings nothing but misery. Whatever diversions the D'Ascoynes may pursue (the navy, photography, the church, hunting) there are a universally inward-looking bunch, with little time for anyone whose interests or backgrounds are not identical to their own. Although Mazzini is of noble blood, his training as a draper, shop assistant and bank clerk gives him a middle-class status, something which simultaneously repulses and pleases him because it serves as the perfect cover for his crimes. 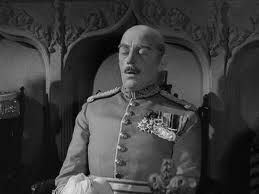 The closer he comes to his goal of becoming Duke of Chalfont, the more he takes on the characteristics of a D'Ascoyne, shunning his childhood sweetheart Sibella (Joan Greenwood) and refusing to help Lionel in his hour of need. The film brutally depicts the entrenched arrogance of the British elites, something which has persisted longer after the D'Ascoynes of this world have withered away. 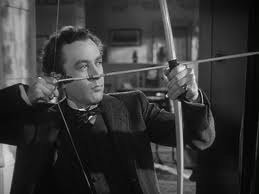 Dennis Price, who had previously found fame in Powell and Pressburger's A Canterbury Tale, is absolutely extraordinary in the lead role. Having been aptly described as "sourly handsome", he presents Louis Mazzini as a man of immense class and sophistication, but who is also capable of being cold, dismissive, callous and sociopathic. Price was always self-deprecating about his acting abilities, describing himself as "second-rate" and "lacking the essential spark." But whatever else happened in his career, this performance is enough to dismiss all such deprecation. What makes his performance so interesting is that, for a lot of the time, Price doesn't speak. The prolific use of voiceover gives his performance a silent movie quality - not because his movements are exaggerated, but because his facial expressions and posture play a bigger part in his characterisation. Normally this amount of voiceover could quickly become tedious, but here it works brilliantly, taking us behind Mazzini's mask of dignity. It makes his deadpan expression all the more funny, as the most unspeakable things are uttered without the merest twitch of his lips. It is as though we were inside the mind of a killer, hearing his darkest deeds completely uncensored and without any license on the part of the screenwriter. 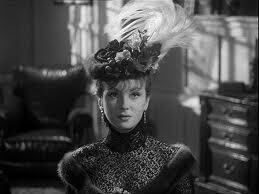 Kind Hearts and Coronets' themes of love and class are also expressed in Mazzini's relationships with women. For most of the film he is taken with Sibella, who marries Lionel but confides in Louis due to their friendship as children, and increasingly out of desperation as just how boring her husband is. Louis strings Sibella along, playing with her heart strings and being glad to kiss her while knowing he can never bring himself to be with her. This is a further example of Louis' corruption as he grows closer to his goal, becoming as cold and as haughty as the people who caused him to swear revenge. If Sibella is the proud plaything who is ultimately beneath his stature, Edith (Valerie Hobson) provides the security of wealth and the moral backbone Louis needs. Their initial meeting, while her husband is still alive, indicates that such a marriage would not be any fun: her strong religious conviction forbids drinking, leading her husband to keep gin and whisky in his dark room. Much of the film plays out like a bedroom farce as Louis tries to keep the two women from ever meeting. In the final scene, he has to choose between dull security and loving disgrace, quoting from The Beggar's Opera as he struggles to make up his mind. 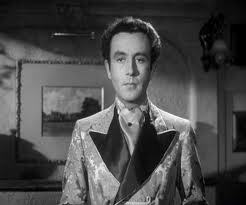 The humour in Kind Hearts and Coronets is as black as can be, with multiple jokes about hanging and all the murders having a comedic quality. These range from the general being blown up as he opens the caviar, to the admiral mistaking port for starboard and sinking his ship, and finally Mazzini's employer dying of shock after inheriting the title. There are dozens of laugh-out-loud moments, such as Mazzini's comments after shooting down Lady Agatha D'Ascoyne: "I shot an arrow through the air; she fell to earth in Berkeley Square." But a lot of the time the film is so edgy and so forthright that you're almost afraid to laugh: the barb is so strong that to laugh is almost too easy a response. 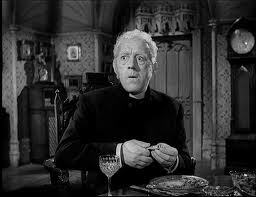 The film is most popularly remembered for Alec Guinness, who plays all eight members of the D'Ascoyne family. 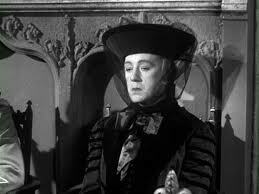 He was originally only offered four roles, but pressed Hamer to cast him in all eight after reading the script. Suffice to say, he's magnificent, with each family member having clearly developed character traits and quirks, and each looking hilariously pompous in all that make-up. The split-screen shooting used to put all eight characters on screen is utterly seamless, and Hamer's direction is totally first-rate. Kind Hearts and Coronets is a perfect black comedy, which is as funny as Monty Python and the Holy Grail and as artistically accomplished as the best work of Powell and Pressburger. The performances are all superb, particularly from Guinness and Price, and Robert Hamer's direction gives the film a note-perfect pace so that all the jokes hit the spot. Over 60 years since it took the world by storm, it remains the darkest, edgiest and funniest of the classic Ealing comedies, and will be reducing generations to fits of laughter for years to come.